I don’t really know what else to say, but my half marathon training isn’t going well. I’m super nervous about my knee. I went and saw a doctor and they said to build my strength surrounding my knee. I’ve been given some rehabilitation exercises to help. Well, okay then. That is easier said than done. I’m trying to be patient and I also bought a brace to support my knee. The problem is, I’m also not motivated to run too far because I’m nervous my knee is going to hurt more. So for now, I’m hiking and running a small amount this week, but I will start adding 3 mile runs in next week to see how I feel. I’m nervous. 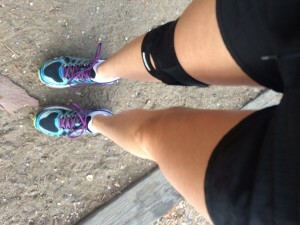 Are you a runner that has worked through an injury? I’d love to hear your feedback.